Clovis is a 14/2 horse (john) mule that is good for anybody to ride. He is a super trail or town mule that has been hunted on and is hound tolerant. This mule would make a mounted shooting mule with just a bit of work. 9 years old and as sane as they come. 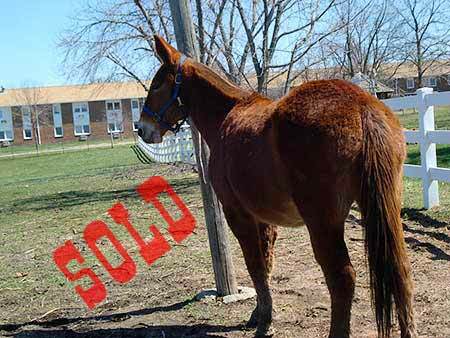 Clovis sold to WI.